Do you want to learn from the people who wrote the book on the SEO? At On Track Marketing we’re offering a 10 week internship to work with our one-of-a-kind SEO team. Daily activities include implementing on page SEO efforts such as article posting, page optimization and Google Analytics tasks; as well as off-page optimization tasks such as profile creation and link building. While we may have clients on a variety of content management systems (CMS), most of our clients are using Joomla or WordPress, therefore some experience in these CMS platforms would give you a leg up on the other candidates. We’ve never offered this opportunity before. You should expect to rapidly gain new insight into how search engines work and how companies increase their visibility. A successful internship in our Online Marketing department will give you real world exposure to the business and could jump-start your career in Internet marketing. – Writing articles for websites on various topics. – Editing articles written by others and posting them to websites. – Optimizing page content and configuring websites for SEO purposes. – Setting up, configuring and integrating Google Analytics and other programs. – Using our SEO checklists consistently and thoroughly when executing the above tasks. – Assisting with the creation of monthly reports and other client communication. – Use tools to diagnose SEO problems and work with SEO team to make recommendations. – Some basic experience with HTML and how the Internet works. – Strong written English communication skills. – Great attention to detail and thorough working habits. – The ability to self manage and keep good records. – Basic SEO knowledge and an appetite to learn more on their own. – A winning “can do” attitude. – The desire to work with and support a great team. – A proven track record of hitting deadlines. Schedule can be flexible, and you can work remotely. 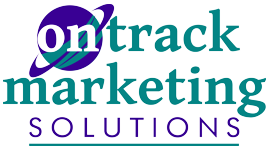 Contact On Track Marketing today if you feel that you’re a great fit for this opportunity.